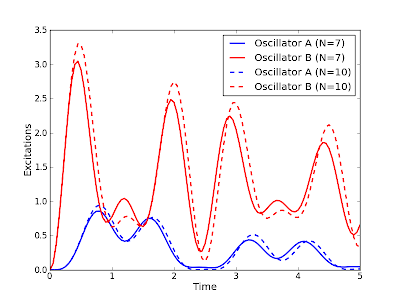 Now, looking at the plot, we see that the results are what we would expect intuitively from our initial setup. 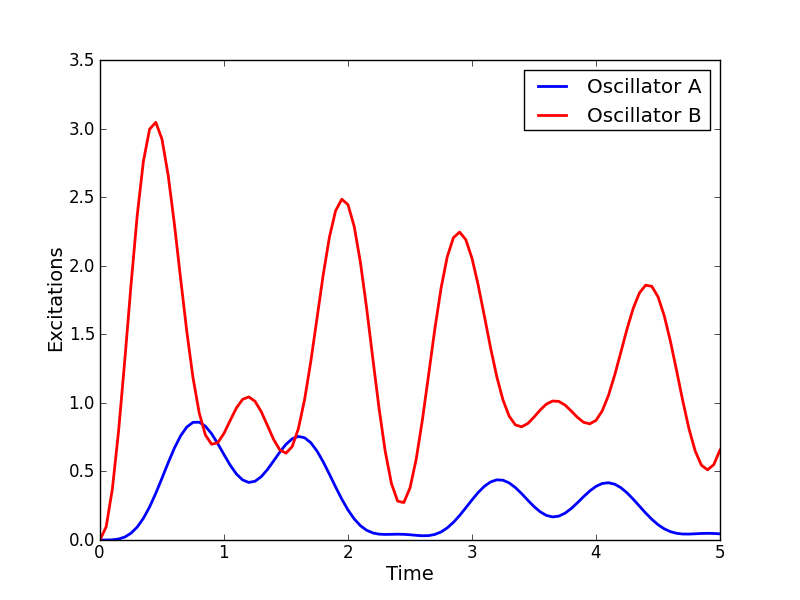 Since we drive oscillator B, we would expect the number of excitations in B to grow large before the coupling with oscillator A starts to drive energy into this mode. At later times, we see that the energy goes back and forth. 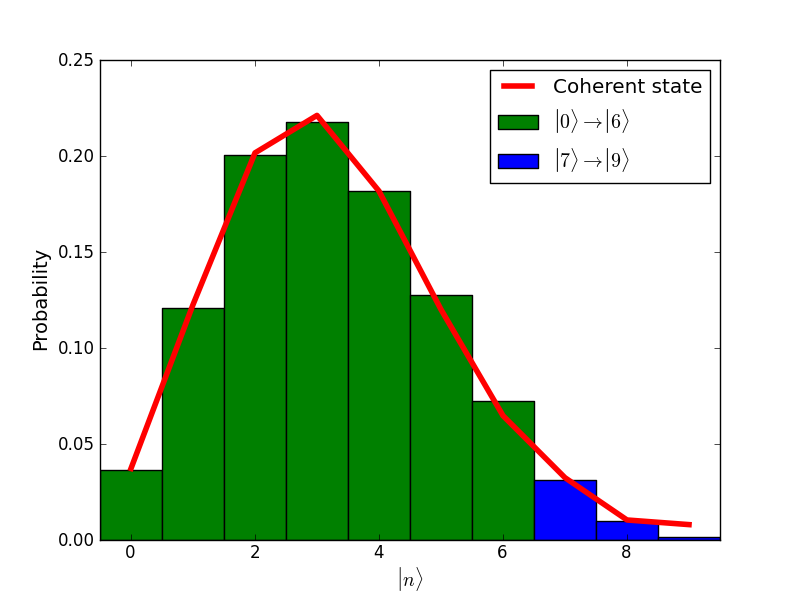 overlaid with coherent state distribution. 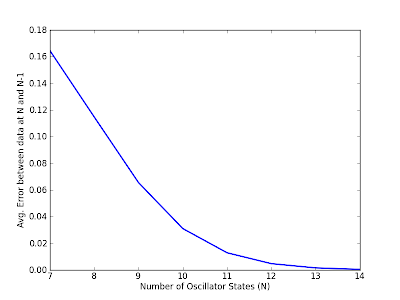 Blue states are truncated when N=7. From Fig. 2, we can immediately see the error. We are effectively ignoring the contributions from the higher modes (blue) of the generated (nearly) coherent state when N=7. It should not be surprising that the results at later times are not correct. Including more states (N=10) gives the following results. 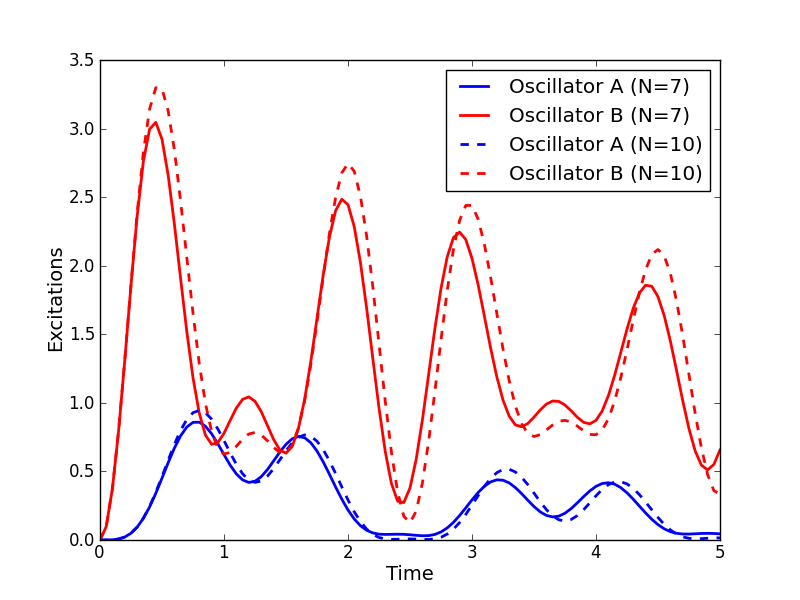 Fig 3.: Comparison of dynamics with N=7 and N=10 states. Fig. 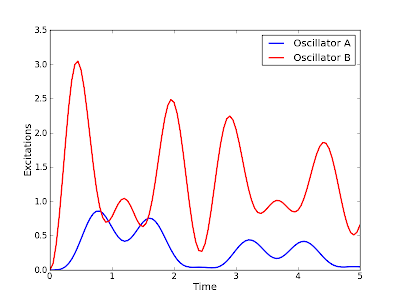 4: Error between data for N and N-1 oscillator states. 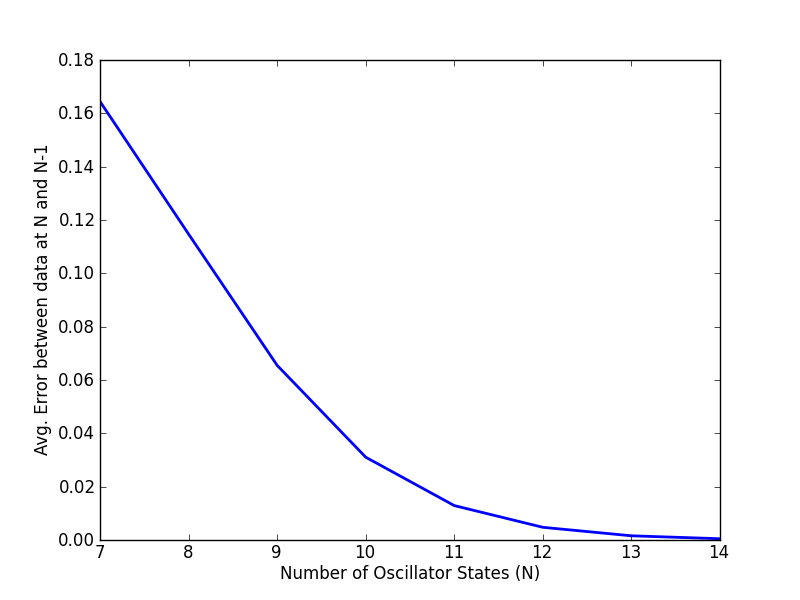 We can see that the error begins to level off starting around N=10, where the increase in the number of oscillator states has little effect on the numerics. The final message: Check to see if the number of states you are using is in fact large enough by visually checking the effect of adding more states, or better yet, plotting the error as a function of system size. And as always, include your code in your publications. Why Release Your Source Code?